Upper Deck has enjoyed a great relationship with the University of Alabama after the company put out the first-ever comprehensive trading card set for Crimson Tide Football. And as Alabama finds their team poised to hoist another National Championship trophy, we thought we would get some more information on one of the great tourists spots for Alabama football fans. 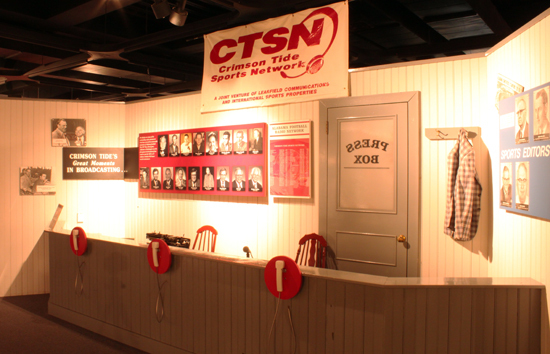 We spoke with Ken Gaddy who is the director of the Bryant Museum at the University of Alabama to find out how Crimson Tide fans can get closer to the game, and the team they love. 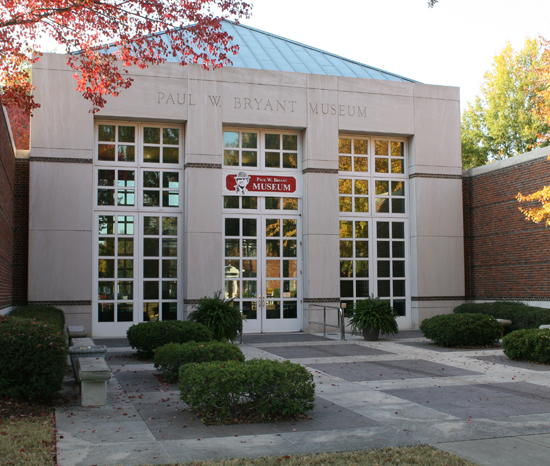 Visit the legendary Bryant Museum on the campus of the University of Alabama. “The Bryant Museum grew out from legendary coach Paul “Bear” Bryant wanting to honor the players and coaches who helped him be successful. That first idea of names and team photos turned into a museum that covers the entire history of football on the University of Alabama campus. 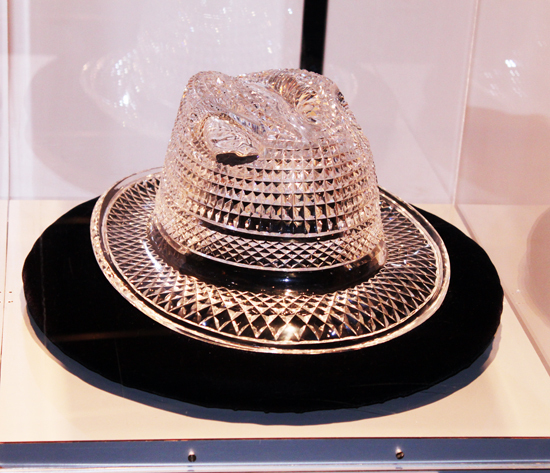 The exhibits begin with the first team in 1892 and ends with Coach Saban’s National Championship teams. 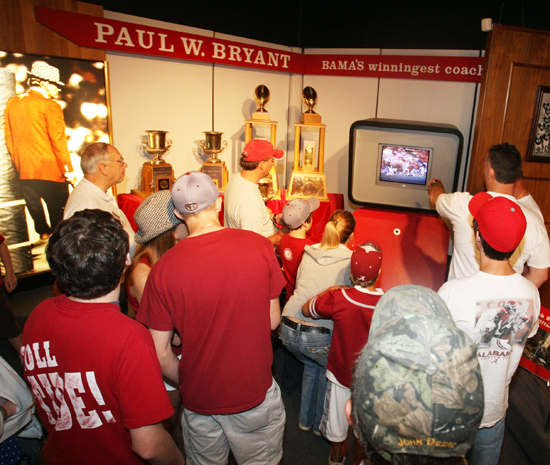 “Annually, over 40,000 people visit the museum to see the displays and learn about the ‘Bama tradition. 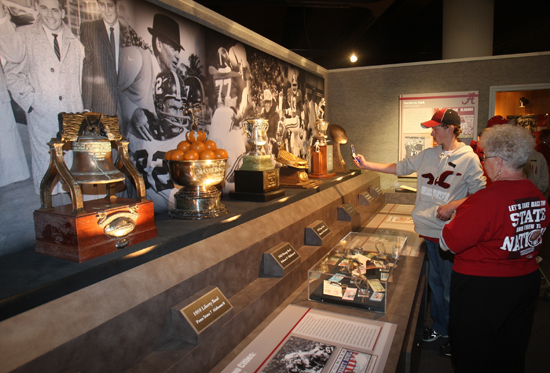 The museum collects items related to all sports on campus. Over 100,000 photos, 8,000 videos and numerous artifacts are used by researchers and the media. “Among the projects to use the museum’s collection of photography was the new Upper Deck University of Alabama football trading card set. Hundreds of photos were considered to select the ones that best represented the tradition of Alabama football. 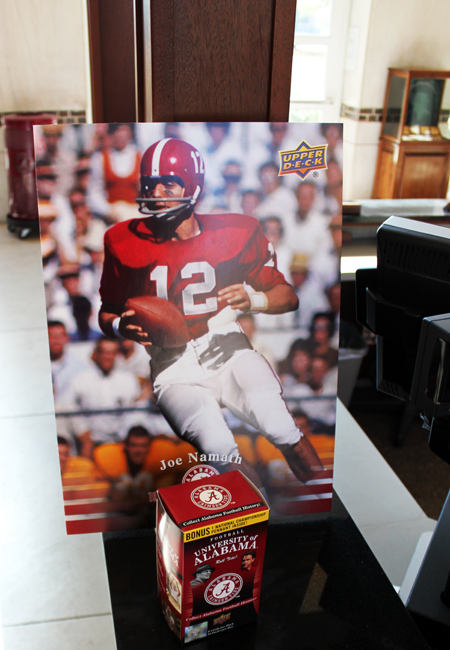 Upper Deck worked directly with the Bryant Museum to come up with much of the stunning photography used in the Alabama Crimson Tide trading card set. ‘Bama fans take in some bowl game memories. There are a variety of super unique artifacts you have to see to believe at the museum. 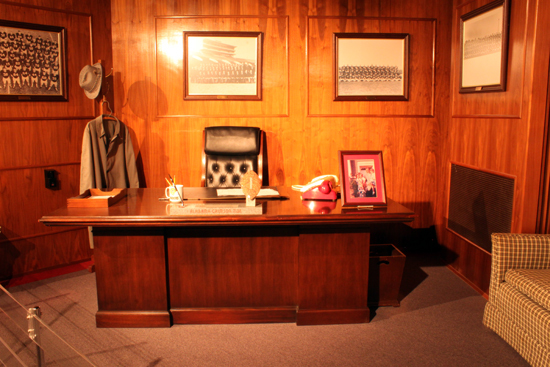 The iconic coach’s desk, as it was back when he was calling the plays. Have you ever wondered what football uniforms looked like 100 years ago? 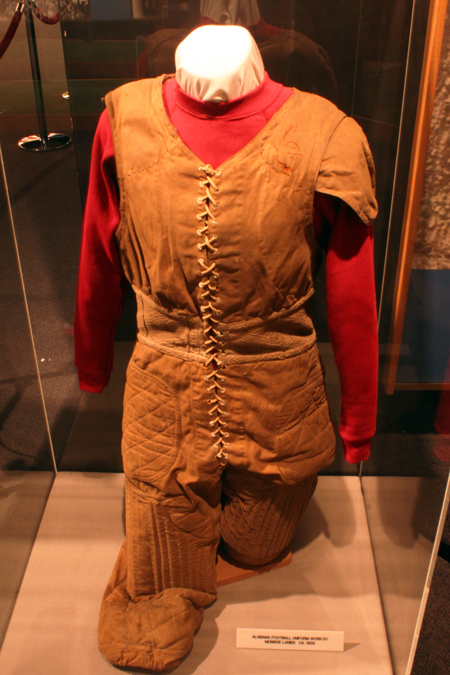 This Alabama football uniform is from the 1906 season. Even the press get paid some respect at the museum. This truly is THE place to visit for Alabama football fans!